Heck, when it comes to Coron, four times still won’t cut it. This little tourist town in Palawan one of the first destinations we set foot in as travel bloggers, but even after three more visits, we still can’t get enough of it. 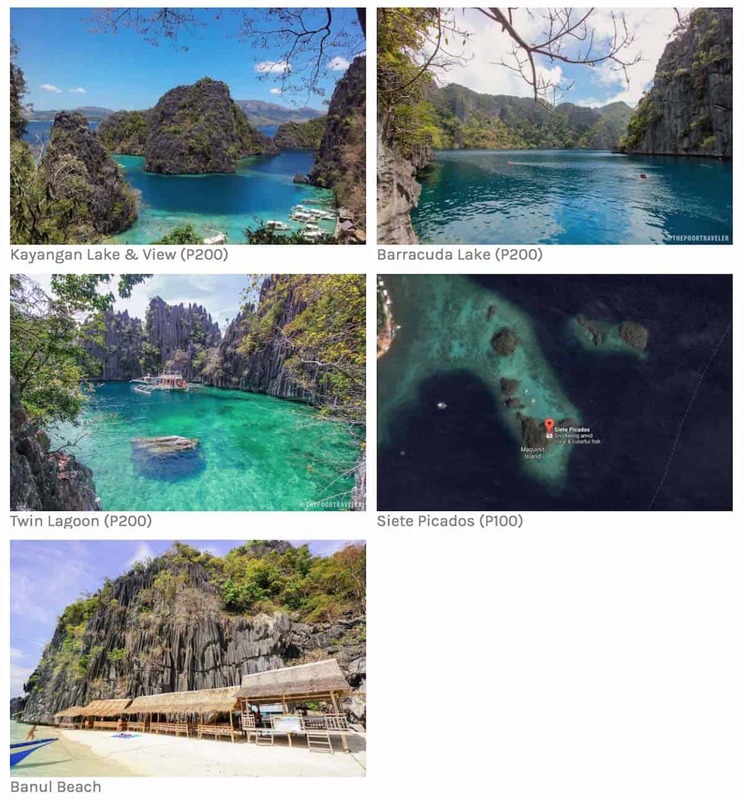 Its jagged corners are bursting with natural beauty and cultural significance: from the lakes and lagoons of Coron Island, to neighboring beaches, to shipwreck dive sites and coral gardens, to saltwater hot springs, to postcard-worthy views from its mountaintops. Heck, they even have an African Safari nearby. Yet, every time we return, we always find something new. 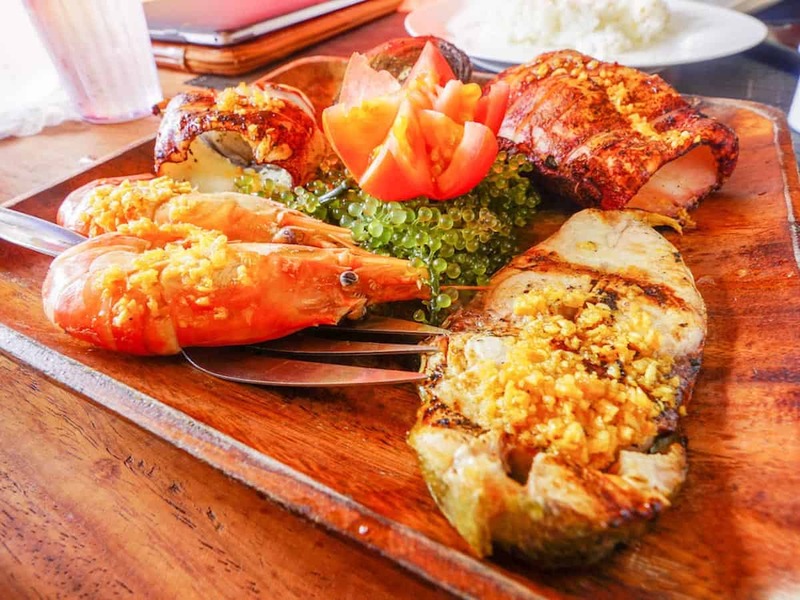 Coron changes fast, and it’s both good and bad. All it took was return to the top of Mt. Tapyas and we noticed just how much development has sprawled across this side of the island. New hotels and restaurants flank more of its paved streets. More tours are opened to tourists, whose numbers, I bet, more than doubled since our last visit. Prices climb at a near-scary rate. Coron transforms faster than we update our travel guides, which is part of the reason why we return to Coron more more frequently than to other destinations. 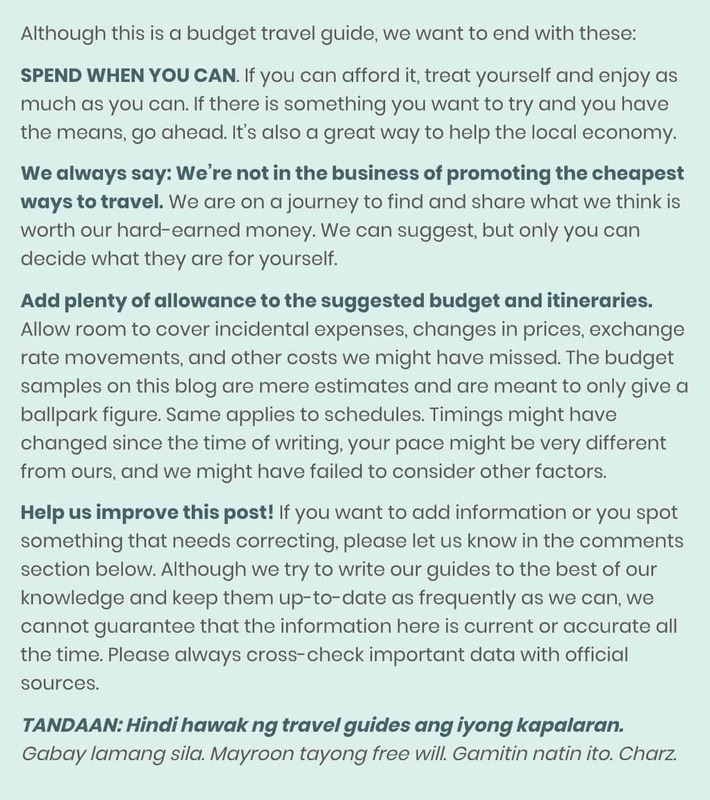 Anyway, here’s our latest, most updated Coron Travel Guide. Last updated: September 2018. Coron is just one of the four municipalities that make up the Calamianes, a stellar group of islands that speck the waters of North Palawan. 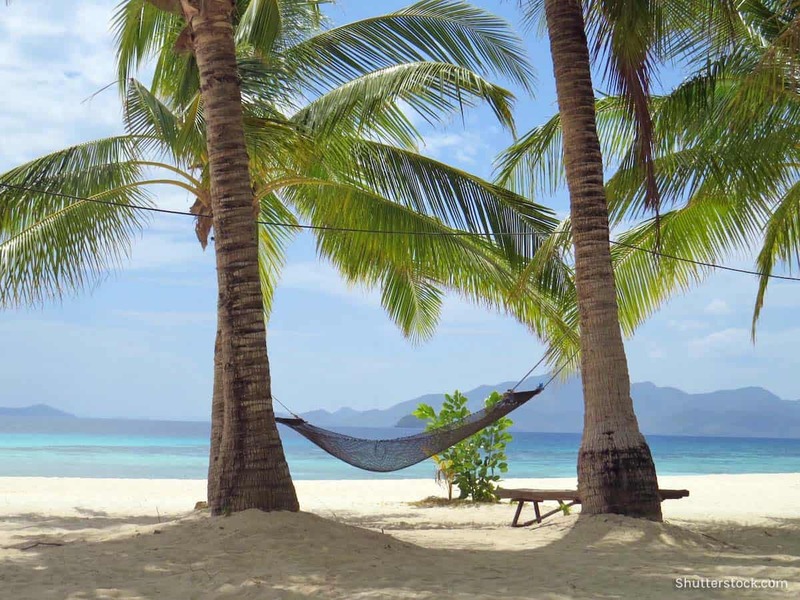 Busuanga Island is the largest of the group and is politically divided into two municipalities: Busuanga and Coron. Coron is the main tourism hub of the region and has more accommodations and tours, and is the usual jump off point to the surrounding destinations, which is why many of the attractions in Calamianes are often associated with Coron even when they are technically part of other towns. 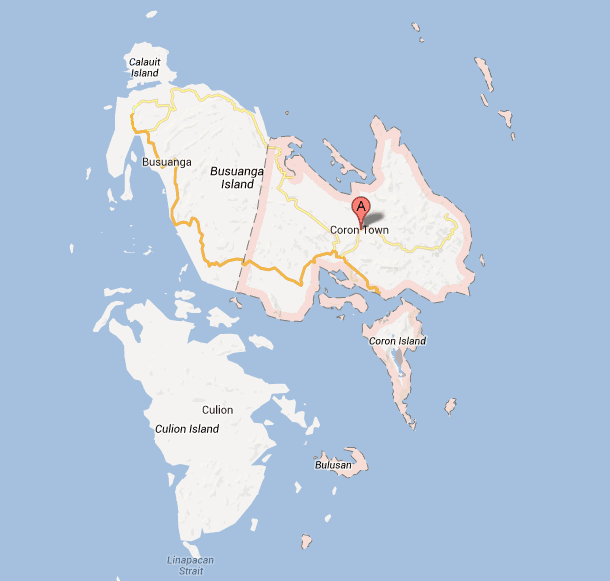 For example, Calauit and Black Island are actually in Busuanga, but most people think they’re in Coron. 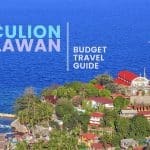 The town of Culion is also often tagged Coron, when it is, in fact, a separate municipality. Another confusing bit: Coron Town is NOT on Coron Island. As mentioned, Coron Town occupies half of Busuanga Island. Coron Island, emphasis on island, is a separate smaller island off the coast of Coron Town. Still with us? Here’s a map to help you digest it better. For tourists, the main gateway to the Calamianes Islands is Busuanga Airport (USU), more formally known as Francisco B. Reyes Airport. It is less than an hour away from the town proper of Coron. 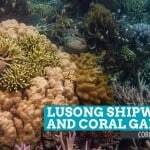 But Coron also has a pier, and over the past few years, new boat routes have opened for tourists coming from Manila and other parts of Palawan like Puerto Princesa and El Nido. Flying is the easiest and fastest way to reach Coron from Manila. Cebu Pacific Air, Philippine Airlines, and Skyjet all operate Manila-Busuanga flights. Skyjet offers the lowest year-round fares. 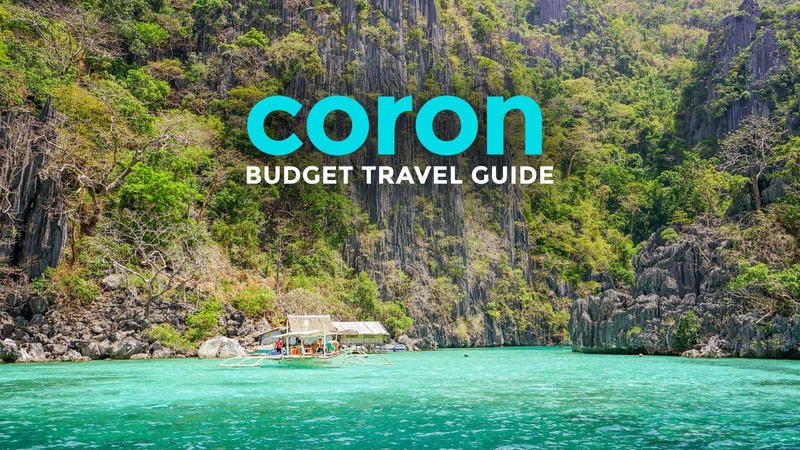 Cebu Pacific does more promos for Coron. 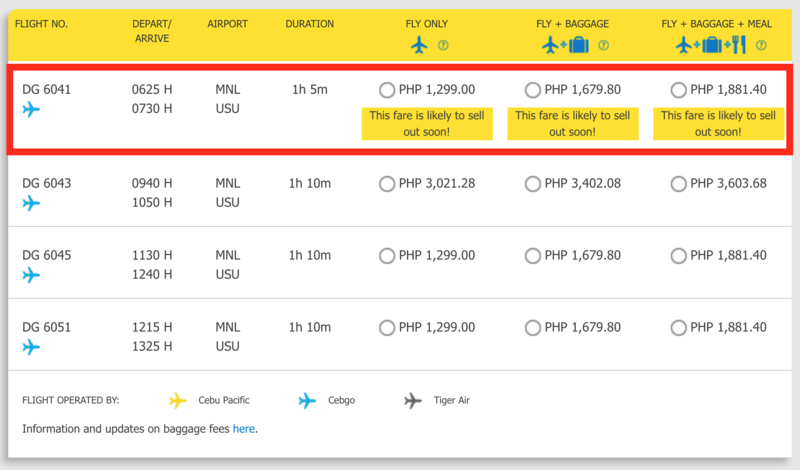 So if you’re not in a hurry to travel, you can wait for a Cebu Pacific SALE and you can score roundtrip tickets for as low as P2400 (flights only) or P3100 (with baggage). Philippine Airlines has good rates, too. There are dates when PAL has much lower fares. Cebu Pacific Flight Scan. The highlighted row contains PROMO FARES. Year-round fare is around P3,400. 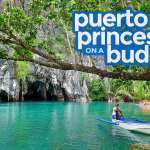 Philippine Airlines offers competitive Busuanga fares from Cebu and Clark. If you book in advance, you might snag these fares. 2Go Travel ferries passengers from Puerto Princesa to Coron, leaving every Wednesday and Saturday at 11:59PM and arrives the next day at 3PM. Here are the rates per accommodation type and additional fees. Montenegro Fastcraft launched in September 2016 a new Coron-El Nido (and vice versa) route, which cuts the travel time to only 4 hours. Schedule and rates below. As soon as you emerge from the airport’s Arrival area, you’ll be greeted by people asking you what hotel you will be staying. Don’t worry, these are barkers looking for passengers. I was hesitant to go with them because they were a bit too proactive, to say the least, but they are legit if they are in uniform. They are asking for your hotel so they would know which van/shuttle you should board. You can also hire the entire van for P1500. The journey is scenic because you’ll be driving across a ranch. If you’re lucky, you’ll see herds of cows crossing the road. There are so many lodging options in Coron but you might still want to strongly consider booking in advance specially during summer (March-May). 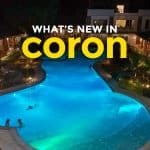 On our last visit, we were hosted by Coron Soleil, which is a newly built complex that harbors the Coron Soleil Garden Resort, a 4-star resort. 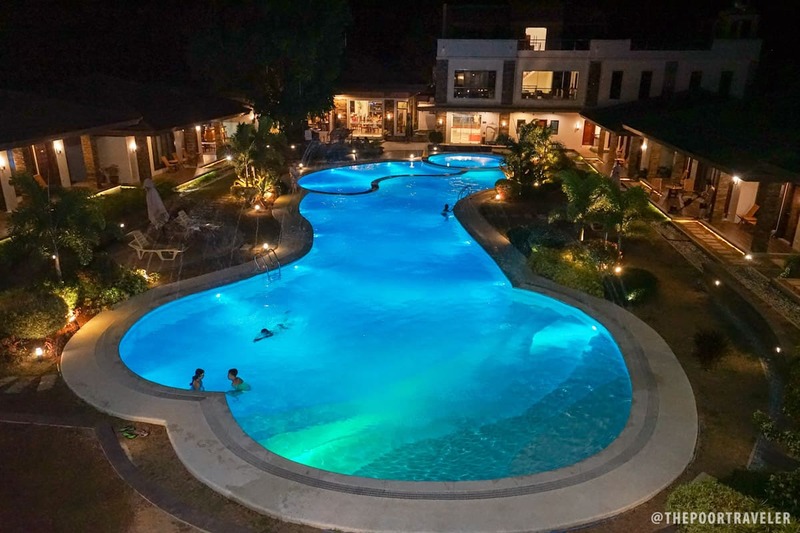 But here’s the catch: located in the same complex is the more pocket-friendly Coron Soleil EXPRESS, a 3-star budget hotel. The thing is, guests staying at Soleil Express have access to the amenities of the complex, which means you’ll be able to enjoy 4-star resort amenities at the price of a budget hotel! Here’s Coron Soleil’s psychedelic swimming pool, the centerpiece of the resort. 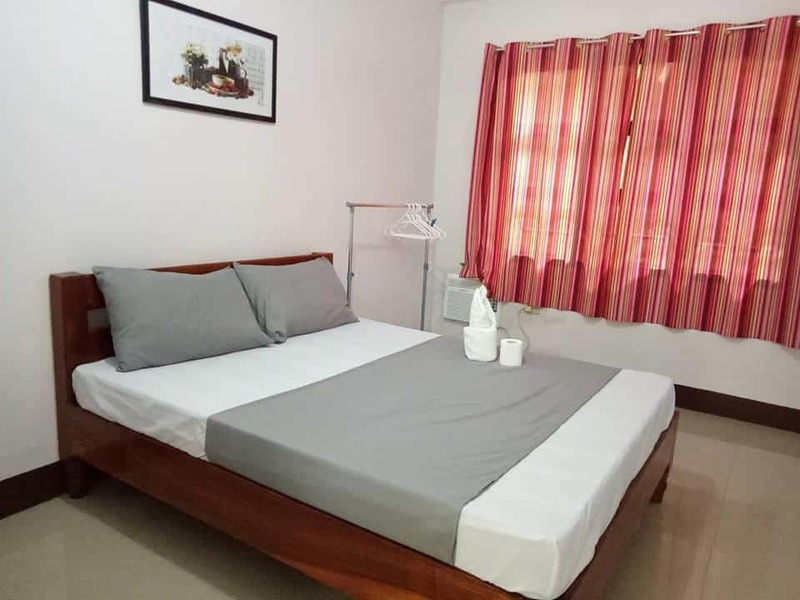 If money is an issue, here are some of the top budget hotels under P2000 per night, according to Agoda users as of March 2019. If you’re working with a really limited budget, consider no-frills, basic guest houses and inns. Here are the four highest-rated around and under P1000 per night, as scored by Agoda users. Food is expensive in Coron. According to our boatmen, it’s because many of the ingredients are being imported from Mindoro. But it doesn’t explain why seafood dishes are also expensive. The price of restaurant meals range from P150 to P400. That P150 is often composed of just a cup of rice and a small serving of a Pinoy viand like tapa, adobo, or liempo. Pasta dishes are usually at P250, grilled seafood (squid or fish) at around P200, and fruit shake at P100-P120. If you’re not picky, you’ll find cheaper meals at carinderias all around town, but they’re getting harder and harder to find these days. But you’ll find those serving tapsilog for P100 or less. There are small kerbside barbeque stands which costs P10-P25 per stick. La Morena Cafe. We ordered this seafood pasta and a big glass of melon shake. Both are unforgettable. Carl’s BBQ. Order the Baby Back Ribs. Half slab is P350; Full slab, P520. Huge servings. And tastes great! Kawayanan Grill Station. Seafood Platter (P450). Good for 2-3 people. Fresh and grilled perfectly. KT’s Sinugba sa Balai. There’s nothing really special about the taste, but the serving here is big and prices affordable, reasonable. La Sirenetta. Kinilaw na Tuna. Aside from La Morena, there are two other coffee places along the main road: Coffee Kong and Fika Indulgence. All three serve satisfying drinks and desserts. Important! Most restaurants and cafes in Coron are open only during lunch time (11am-2pm) and at night (6pm onwards). If you decide to have late lunch at around 3pm, your options will be significantly narrower. 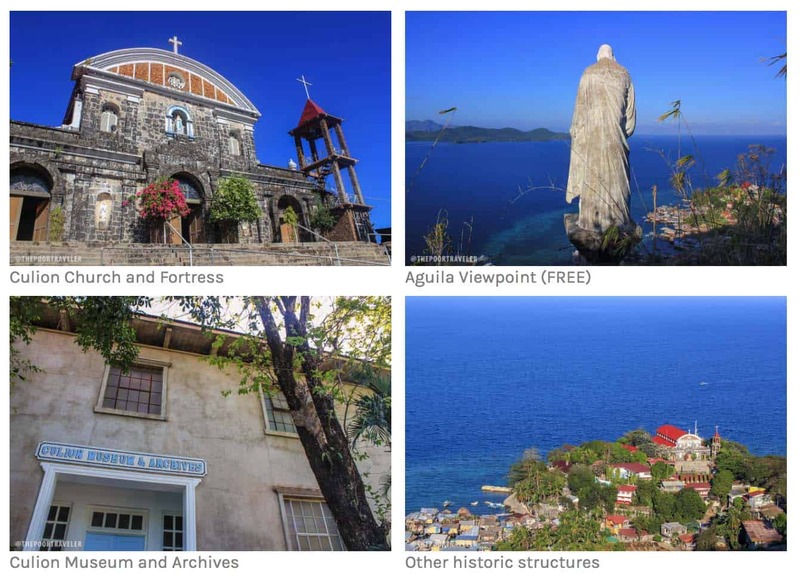 There are so many interesting and unique destinations in Coron and in nearby towns of Busuanga and Culion. If traveling just within Coron town proper, you can simply take a tricycle. Fare is P10 per person. But when visiting island destinations, you have two options: join a group tour or charter a private boat. You’ll be paying per person and will be sharing the trip with other tourists. You’ll find these tours offered by various operators throughout the town. This is great for those traveling alone or with a small group. Pros: You don’t need to worry about anything else. You just pay one time, show up, and the agency will do everything for you. You also get to meet other travelers. Cons: You have almost no control of the itinerary and how much time you will be spending at each stop. You will need to book with Calamian Tourist Boat Association. Their office is at the near end of the Lualhati Park. They have standardized the rates of boat trips depending on the size of the boat needed, the number of passengers, and your destination. Is it cheaper? Only if you’re a big group. Rates depend on the boat size. For example, for Coron Island Tour, a boat that can accommodate 2-4 passengers costs P2700, 5-8 pax for P3250, or 9-15 pax for P3800. Obviously, you’ll be maximizing this if you’re a group of 10 or bigger. Pros: Although there is a suggested itinerary, you have total control of your time and schedule. If you want to stay longer somewhere, you can. If you want to skip a stop, you can too. And as I said, if you’re a big group, it will turn out much cheaper than joining a group tour. Cons: The published rates cover only the boat fee. NOT included are the tour guide fee (P500) and entrance fees. Food is NOT included either, so you will need to bring your own provisions. Fortunately, the public market is near the port and the boatmen can prepare and cook your meals at no extra cost, so you can simply shop for ingredients before your trip. The following are some of the most popular tours in Coron with the usual destinations covered. Inclusions vary so please confirm with the tour or boat operator first before you seal the deal. I also indicated the usual rates as of March 2017, but bear in mind that these rates vary from operator to operator. We also provided links to corresponding Klook tours. However, we have to say that we actually find the tours on Klook a bit pricier than usual. I would still just find another tour when I’m there. But if you’re a long-time Klook user and you’re more comfortable booking with them, go ahead. For you want to pull a DIY or charter a private boat, you’ll find the entrance fee rates in the photo caption. However, like I said, if you’re joining a group tour, you don’t need to worry about the entrance fees because they’re included in the group tour package. This is the classic Coron Island Tour. The usual Group Tour rate is somewhere between P1500 and P1800. However, you’ll find tours for only P1300 or even as low as P750. Why the big difference? Check the itinerary. The most iconic attractions in Coron are Kayangan Lake and Twin Lagoon. Many of the offers we found don’t cover both. Some just include Kayangan Lake and a few other stops, or Twin Lagoon and a few other stops. If you want to make the most of your stay, book a tour that has both in the itinerary. Mt. Tapyas does not require an entrance fee. It’s best enjoyed at sunrise! Maquinit Hotsprings can be reached by tricycle. Fare is P350 roundtrip. Entrance fee: P200 per person. Best enjoyed after climbing Mt. Tapyas. If you’re joining a Group Tour, you have two options: by land or by sea. I personally prefer touring by sea because I am in love with Black Island, which is often not included in land tours. 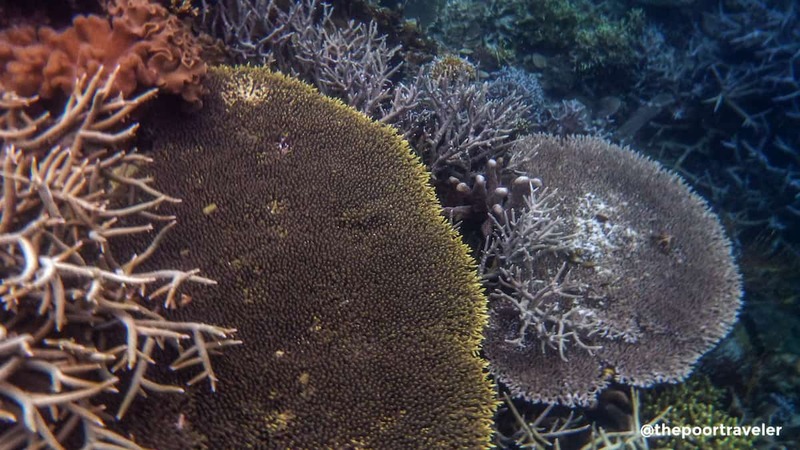 Stops: Malcapuya Island, Banana Island, Bulog Dos Island. Some tours include Malaroyroy Island. I can’t stop raving about this tour. This is super magical! Although the fireflies are cool, the real stars of the night are the bioluminescent plankton. When you dip your hands in the water, it sparkles. And when you tap the sides of the boats, the most amazing thing happened: the water beneath us glittered and the lights spread out across the water! If I didn’t hold my jaws in place, they would have dropped into the water. It was insane! We tried taking photos and videos but it’s just too dark. But it is similar to what’s happening in this video. Not the same, but close to it. The best thing about Coron is that the neighboring islands — all equally mesmerizing — are just a boat ride away. Thus, a trip to Coron will never be complete without a visit to the other destinations surrounding it. Because boat rides and tours are all organized into day tours, it is very easy to build an itinerary. Below is a sample 4-day 3-night itineraries for 2 pax. I set the meal allowance at P200 per meal outside organized tours. This Coron itinerary assumes you will be staying at a guest house at P1000 per night (P500 per person).  As always, please make the necessary adjustments to fit your flight schedule, duration of stay, or tour preferences. That’s a total of P7925, excluding airfare. If that’s still too steep for you, you can remove the Fireflies Tour (please don’t! It’s really good!) and then replace Calauit Tour with something cheaper like Malcapuya Island Tour. This will bring down the total cost to only: P5975! If you’re able to snag a P3200 promo fare (believe me, it’s possible! ), the total is only at P9175. If the cost above is still much higher than your budget, stay at a cheaper place. 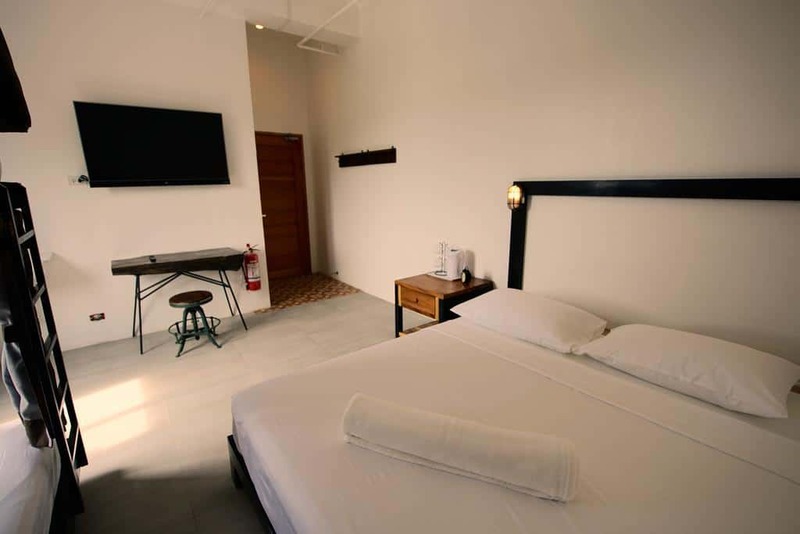 There are fan rooms available for only P400 per night.  Build a group. Instead of joining a group tour, build a big group that you can share a private tour with. If you can create a party of 8 or more, it would bring down the cost significantly. 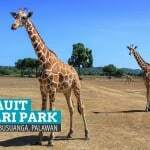 Pick a room within walking distance of Lualhati Park. Tricycle ride costs P10 per person. Leave No Trace! 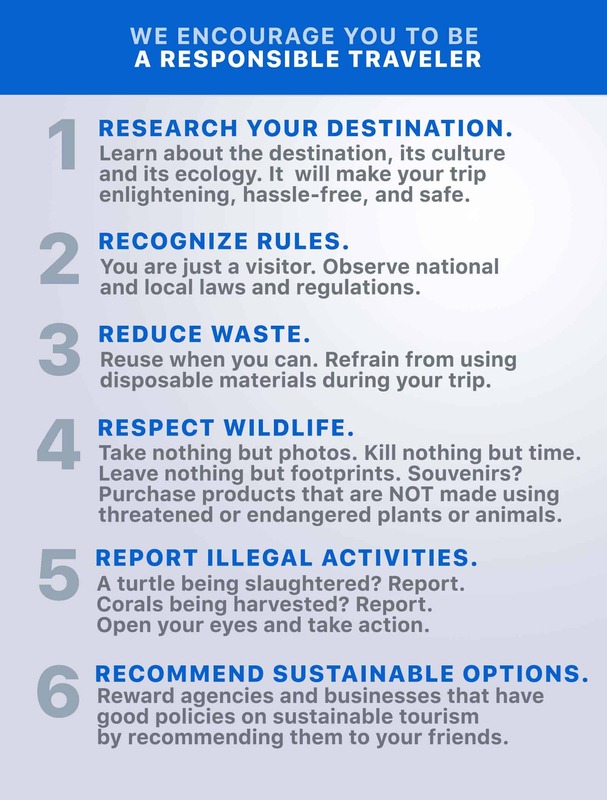 Take your trash with you when you leave, and respect wildlife. Coron is naturally beautiful. Let’s keep it that way! Gorgeous! We laid over in Manila 2 weeks back flying from Chiang Mai back to NYC. Wonderful place to even fly over, that country is ;) The locals are amazingly friendly, inviting and so proud to show you their beautiful country. I was in the airport for 12 hours and already fell in love with the Philippines. I only imagine how a trip to Coron would go. Thanks for sharing this eye-popping guide :) Fabulously helpful write up. “That’s a total of P7875, excluding airfare.” Is the rate for 2 people? This was an a amazing read and a huge inspiration. 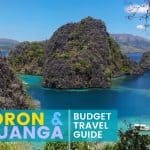 My girlfriend and I are traveling to Coron for 3 days at the beginning of March and are very much looking to copy the example itinerary suggested in the post. One question, would you recommend booking the tours in advance or it will be possible to still manage to do that after our arrival. I guess it would depend how busy a period it would be at that time. Thank you very much. I love this blog! The most detailed one i’ve read, after having read a few. I’ll be a solo traveller heading for Coron soon, and i’m so glad I came across this one. I’ll be at Coron w/my girlfriend on March. We plan to go on a private tour so we can squeeze all the destinations we want in one day. For the Coron Island Loop tour the agency is charging us 4,150/pax or 8,300 for 2pax (We picked 8 destinations: Kayangan, Barracuda, Twin Lagoon, Hidden Lagoon, Siete Pecados, Skeleton Wreck, Banul Beach and Smith Point White beach). For the Beaches Escapade (Malcapuya, Banana, Bulog, Waling-Waling) they are charging us 4,500/pax or 9,000 for 2pax. This is our first time in Coron, you think the prices are reasonable or rip off na? How is Globe LTE signal around Coron town proper?,Our accommodation will be at the town proper and wifi available only at the common areas. I will need to be online during the night cos i work freelance. Is Globe LTE ok? Or i can purchase Smart sim if Smart is better. I just need to have an idea. And yes, Globe performs well in Coron town proper and the LTE signal also reaches some nearby islands, which is awesome! Is Klook very helpful for solo traveler for each destination? or much better to find travel agency? Hi Marj, wala po eh. We usually just go to their office sa Lualhati Park and book on the spot. Hi! Is there an age requirement for the tours? I have a toddler. Di ko po sure pero parang okay lang naman. Just tell the tour operator when you book para makaprepare sila ng life vest na pambata. Hi. I just want to ask, do you have any contact person about the private boat rental? I’ve been looking for that source and as I check the bookings at klook, it says it’s a join in tour. Does it mean it’s a joiner tour? I cannot find who to contact about the private boat rental. O baka sa over the counter na ng Calamian na kami mag-book for private tour? Can you give us a feedback? We’re visiting coron this June na eh.. We are preparing for an itinerary. Hi Kristine, we don’t have a contact person. We simply went to Lualhati Park, where the boats are docked and where the office of the boat association is located, and just rented a private boat there. Pipick-upin ka sa hotel/inn mo. May contact usually ang hotel and guesthouse staff. Hi, is the current rate for the Ultimate island tour still 1,500 and the island tour including Malcapuya Island costs 1,200? I am planning to go there alone :) Thanks po! 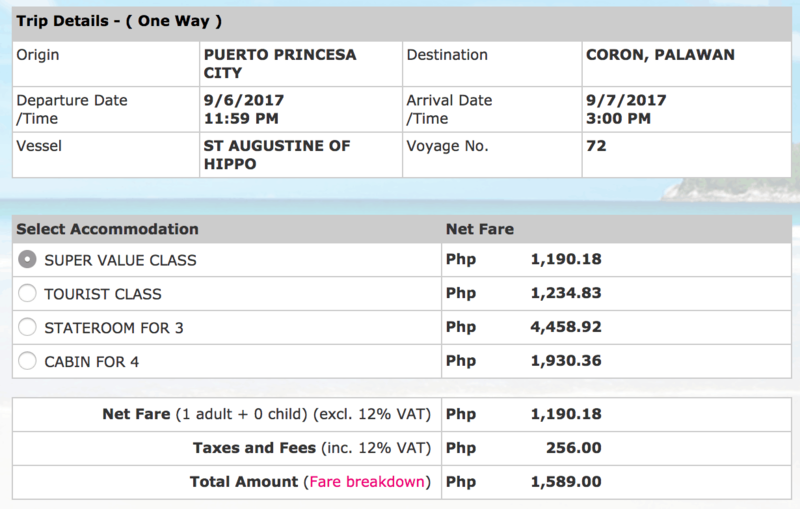 Hi, were planning for family trip to Coron next year March (11 pax), what is the best time (month) do i need to book ticket to get a cheaper price. Thank you. Wait for a sale. Usually there is a sale on the eve of a holiday like Independence Day or National Heroes’ Day. You can also download Traveloka app and set up PRICE ALERTS so you get notifications on your phone when the fares drop. Hello po, additional questions. Ung mga trike into the town pedeng sumakay going anywhere? and how much per head? Thanks. If within town proper lang, P10. Pero if dun sa mga outskirts, umaabot sa P50 yung singil sa amin. Tapos pag malayo na talaga like yung hot springs, nasa P350 roundtrip. 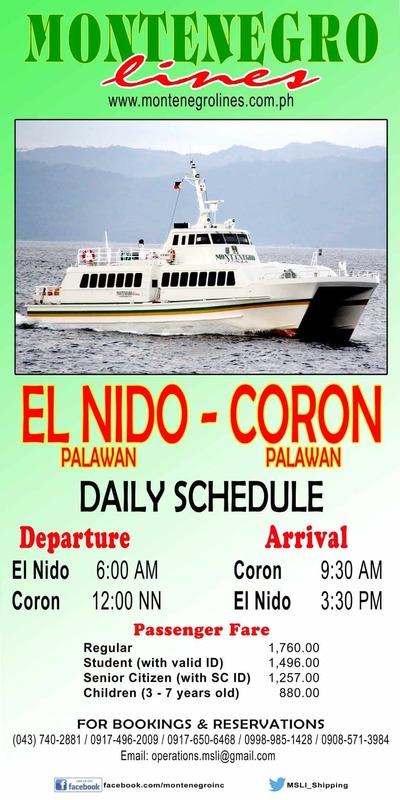 What’s your pick between coron and el nido then? 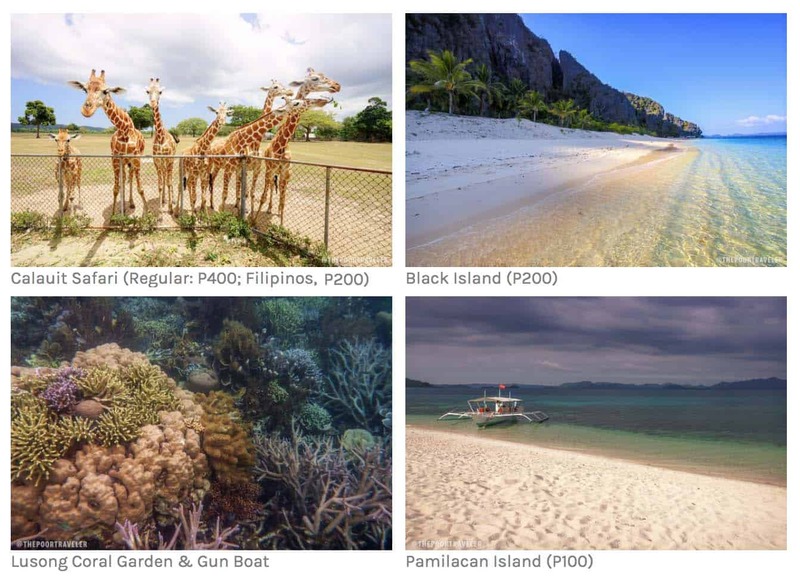 If you want diversity of attractions, Coron. 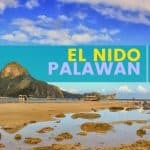 If you want a little bit of nightlife or a strong backpacking vibe, El Nido. Hi! Included na ba yung environmental fee/entrance fee for each destinations dun sa payment for private boat? Another question po. Pede ba kaming dun na mgbook ng hotel pagdating? Madami nmn po sigurong mga murang hotels po di ba? Nov I – 5 po kami. Tsaka pag ng rent kami ng boat my suggestion n rin Sila San pede mg rent ng mga gagamitin tulad ng goggles at lifevest? Hi Marites, we highly recommend that you book in advance kasi November 1-5 is a long weekend and holiday pa.
Hi Nyssa, if you’re chartering a private boat, kahit dumiretso ka na sa Lualhati Park. Been to Coron ng peak season a couple of times, parang di naman sila nawawalan ng private boat dun. 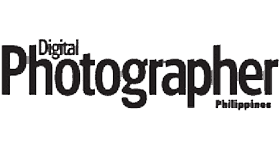 Hi, great article thank you! For getting back to the airport what is the usual price in town for a cab? Are there shared shuttles there too? Hi, would be interested to know the contact of the travel and tours company that offers private boat tour with the rates that you gave above. Whenever I check online I always see rates per head and not as a group. Thanks! Nouelle. The private boats I mention in this post are not offered by any tour agency but by the Calamian Tourist Boat Association. They don’t have an online presence so you will have to go to the port near the end of Lualhati Park. Please read the “IF YOU CHARTER A PRIVATE BOAT” section above for more info. I am currently staying in Coron Town. Didn’t know if I should go on the Fireflies and Plankton tour but reading your experience convinced me to do so. Hope you had a great time on the plankton tour! Thanks for the guide. We will be staying in Coron Island itself and want to use the accomodation’s kayak to paddle along it’s beaches, reefs and lagoons for a day. Since we won’t be able to buy it fresh from the market, do you know if there is any beach in Coron where you can buy some food for lunch? Yung private boat tour rates, per boat yun so as a group na.